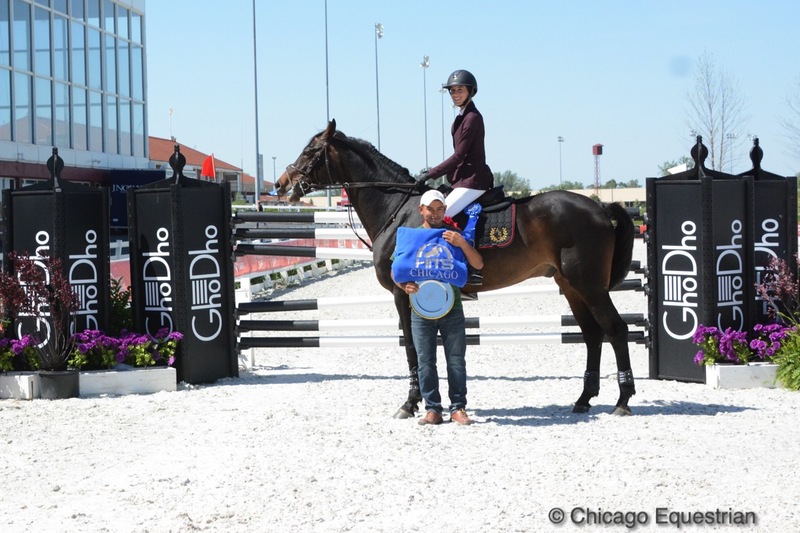 Annabella Sanchez and Cassano Z won the $2,500 GhoDho U25 Jumper Classic during the Showplace Spring Spectacular I Horse Show at HITS Chicago and earned points toward the GhoDho U25 bonus. HITS, Inc. is pleased to announce that GhoDho® has been designated as the official title sponsor of the U25 Grand Prix series at HITS Chicago. In addition, GhoDho® will be offering a bonus to the leading rider of the HITS Chicago U25 series. The winner of the series will be offered a sponsored riding spot in the Annali-Brookwood Farm George H. Morris Chicago Clinic, organized by Diane Carney, November 24-26, 2017. GhoDho® has quickly become a sought after brand among up and coming riders. GhoDho® is a designer brand that features an impeccable fit, progressive styling, and technical fabrics for apparel that remains ahead of the curve. All of GhoDho®’s products are also 100% cruelty free!